The bright, colourful spray for hobbies and DIY. Marabu-do it dries quickly, is wipe-proof and weatherproof, provides good opacity and is easy to use. This satin-matt spray is suitable for spraying many materials, for example board, wood, plastic, polystyrene, glass, stone, metal, pottery, wickerwork and dry, natural materials. 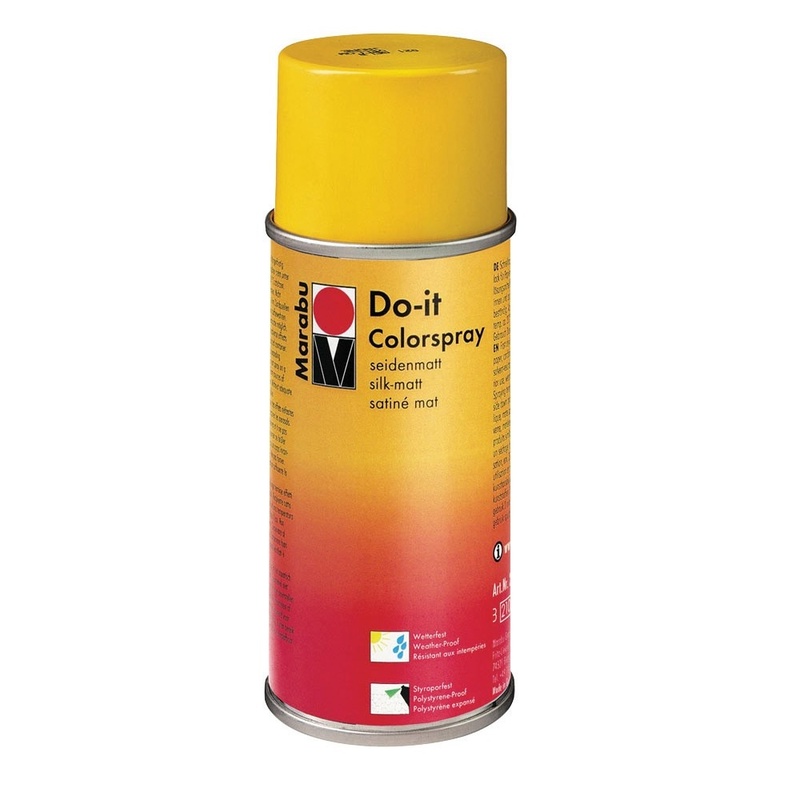 The Marabu-do it range contains no CFCs and is suitable for use on polystyrene, apart from do it-gloss spray.